While Perfect World may be known more for their F2P titles, it’s not that uncommon for the publisher to put out some great premium titles as well. Just take a look at the Torchlight series and its success if you need a reminder. Now, the company has teamed up with Gunfire Games for their newest upcoming series, Remnant: From the Ashes and they’re taking another shot at success. I had a chance to go hands-on with a work-in-progress PC build of Remnant using an Xbox One controller, and if my time with the game is any indicator this game has some promise. In the world of Remnant, the Earth has been taken over by interdimensional creatures known as the Root. The Root are very demonic and take several varying forms throughout the course of the game. There are roughly 100 different creatures that range from short little furry balls of teeth with spears to teleporting hunters dressed in black shrouds with deer-skull masks, and that’s just scratching the surface. There are also more than 20 boss creatures for players to take a shot at. Players will join forces to take on the Root as they explore not only a desecrated Earth but other dimensional plains as well. 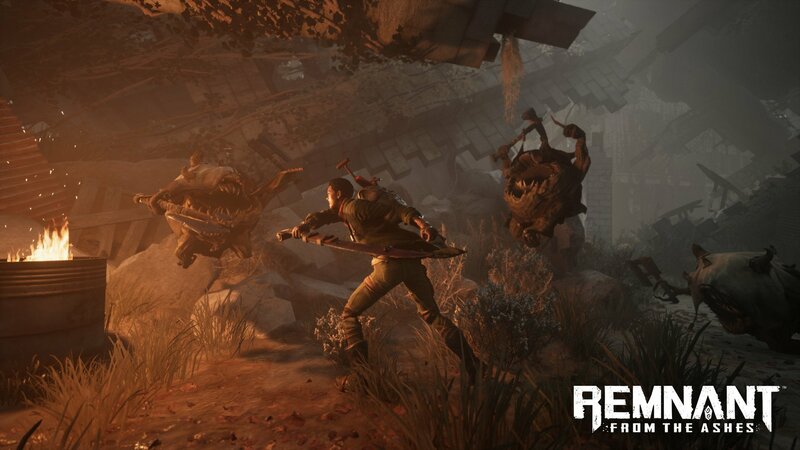 At its core, Remnant is a 3-player third-person survival shooter that’s meant to be one part Left4Dead and one part Vermintide with a healthy splash of Soulsbourne flavoring to balance out the overall taste. What’s really interesting about Remnant’s setup though is the fact that no two levels are the same for anyone, even if it’s the same mission. Every single level is randomly generated and populated with a random set of enemies. One player may have to traverse through an ancient jungle labyrinth and fight a monkey-like demon boss, another may end up in the ruins of a once massive sprawling city-scape now overrun by supernatural roots and branches. Another major factor is that each level boss will have a random mod that could affect any number of things including health regen, special attacks, or buffs to their stats. 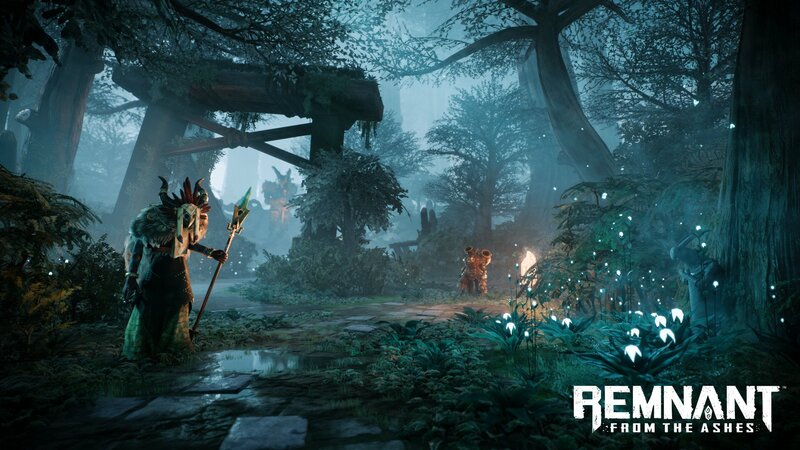 As players journey through their uniquely-crafted worlds in Remnant, there will be tons of secrets to stumble upon and resources to collect. There may be a hidden room behind a decrepit bookcase or wall. Or perhaps they’ll stumble upon things in the world they can interact with that may unlock an even greater challenge. Players will also have to collect crafting items of varying rarities to make things like bandages and bullets while in the game world. Once players have made their way through a mission and defeated a boss, they’ll be able to upgrade their weapons using the mods from the bosses or may even get new weapons entirely from a major boss fight. While characters do level up, much like in Destiny 2, weapons have levels as well and upgrading and modding those weapons is where players will really get their power. There are three classes for players to choose from at the beginning of the game, but they seem to mostly be there as jumping off points for new players. Scrappers are the class to pick for short-range players who prefer melee or shotguns, Hunters are for players who wanna hide out in the back and take out enemies long-range, and Ex-Cultists fall somewhere in-between those two. There are no class locks on equipment or weapons though, so players are free to mix and match customizations to their heart’s desire. However, each class does have a starting skill. Since I picked the Hunter, I was able to fill up a meter on my pistol or rifle that gave me the ability to see enemies in the area even through walls and gave a buff to my critical hits. I found my personal hands-on time with Remnant: From the Ashes to be intense yet enjoyable, which is a particularly tough balance to find for my own tastes. But there I was, wide-eyed and shouting expletives as I dodged out of the way of an exploding spore monster before using my sword to hack through a pile of grunts before finally taking on the grenade launching demon in the back of the room. The essence of a soulsbourne-like challenge was definitely there and it left me wanting to go back for more. Fortunately for gamers everywhere, while the combat does exude that sort of true grit, there are plenty of chances to heal up and restock ammo along the way. However, once you get to that last checkpoint, unless you’ve got a special item that lets you go back to the Hubworld to resupply and upgrade things, all bets are off. The boss fights are supremely intense and are gonna take some gumption to win, especially if you try to go in solo. But this is definitely a game you’ll want to experience with a good anyway. 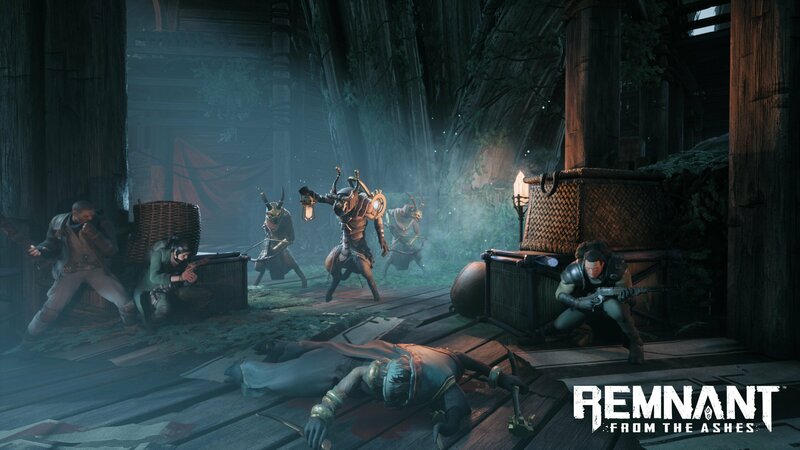 Remnant: From the Ashes is a game I definitely want more of after my hands-on time with it. The total randomization of levels will hopefully push some healthy social trends as people team up to help other players complete missions and hunt down the rarest of relics and weaponry. 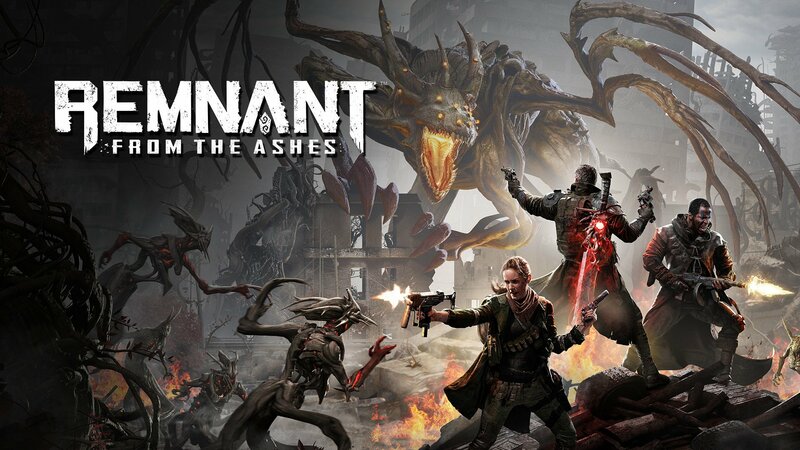 Remnant: From the Ashes is set to launch later this year on August 20 for PC at a price point of $39.99 with a whopping zero microtransactions planned for the future. We’ll be sure to keep you up to date with more details on Remnant: From the Ashes as the launch date gets closer.